Sony is to close down its Liverpool Studio, responsible for developing games like WipEout, as part of the company’s restructuring efforts. Sony acquired the developers back in 1993 to join Sony Wordwide Studios, but is looking to relocate relocate staff to other parts of the business. Sony’s Liverpool campus will continue to operate the Xdev team, localisation, the finance group and other such divisions. It is only the development team that will be affected by the measure. In a statement, PlaytStation Europe said: “It has been decided that Liverpool Studio should be closed. 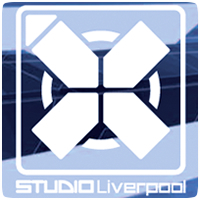 Liverpool Studio has been an important part of SCE Worldwide Studios since the outset of PlayStation, and have contributed greatly to PlayStation over the years.